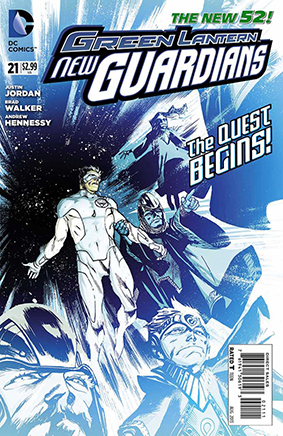 • PLOT SUMMARY: Cover by Rafael Albuquerque (W) Justin Jordan (A) Brad Walker, Andrew Hennessy The Templar Guardians have been locked away for millennia, but they have a VERY clear idea of what they need to do next - and of all the Lanterns in the universe, they need Kyle Rayner's help. So it's a shame he wants nothing to do with them! But once he sees the strange anomaly lurking at the edge of the universe, he may have no choice but to get on board with their mission.